In August, gaming revenue amounted to MOP18.62 bln, which was better than the MOP17.9 bln market consensus. Strong headwinds, however, may buffet the industry in the coming months. Gaming revenues declined 35.5 per cent year-on-year in August to MOP18.62 billion (US$2.33 billion) from MOP28.88 billion (US$3.62 billion) a year ago, according to data released by the Gaming Inspection and Co-ordination Bureau (DICJ). The largest gaming industry in the world has now registered 15 months of consecutive year-on-year decline. Since the beginning of the year, the sector has generated MOP158.88 billion in revenues, which represents a 36.5 per cent year-on-year decline from MOP250.38 billion. While the revenue for August is better than consensus expectations, which stood at around MOP17.9 billion, strong headwinds have to be factored into the mix in the near future affecting revenues further in both the VIP and mass sectors. In the last days of August the People’s Bank of China and the Monetary Authority of Macau announced a pact to prevent money-laundering and terrorist financing activities. Meanwhile, there is an ongoing crackdown of underground banking. These factors – combined with President’s Xi Jinping crackdown on corruption in Mainland China – may contribute to exacerbating the caution of VIP gamblers who have not committed any illegality but prefer to maintain a low profile. Nevertheless, according to Union Gaming Securities gaming analyst Grant Govertsen there are more factors to be considered such as the devaluation of the renminbi (RMB) and restrictions on the devices of the Chinese domestic bank card organisation UnionPay operating in Macau. “Too many headwinds persist, including more recent fears on the China macro story and RMB devaluation, as well as longer-tailed fears on UnionPay restrictions, the spectre of a full smoking ban [in casinos] and the dilutive impact of new supply”, Grant Govertsen wrote in a report released after numbers were known. Still, he notes that since February gaming revenues in the industry have been quite ‘stable’, saying, “GGR [Gross Gaming Revenue] has now remained in a fairly tight range for seven consecutive months, with results generally in a range of MOP17 billion to MOP21 billion. August was in the middle of this range”. 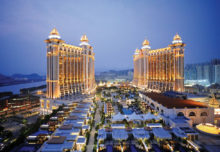 In terms of market share, and according to the calculations of Macau Business, Sands China took the largest share with 25.2 per cent in August. Since April, American billionaire Sheldon Adelson’s company has not been challenged at the top of the market. Also, during August, SJM Holdings managed to stay in front of Galaxy with 21.8 per cent share. This is the first month that the company founded by ‘King of Gambling’ Stanley Ho Hung Sun has managed to stay in front of Galaxy Entertainment Group, with Galaxy Phase II and Broadway Macau having been operating for a full month. 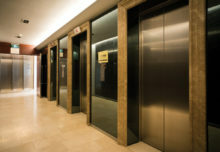 In August, the market share of the company controlled by Lui Che Woo amounted to 21.2 per cent, the first time since June that the company has recorded a share lower than 22 per cent. While Melco Crown is preparing to open its new Studio City property, which is scheduled to open in October 27, it grabbed 13.5 per cent of the market in August and is the fourth player. In the bottom half of the market share table sits Wynn Macau with 9.4 per cent, leading MGM China with 8.9 per cent during August.